2017 - 2018 have been an exciting time of discovery & innovation for Tweek Geek. I spent much of the last year and a half in "Mad Scientist Mode", which was incredibly fun. Too fun honestly, I sort of lost touch with the industry, and close colleagues while retreating to my laboratory. The first discovery, Sonic Tonic as it was initially called, was brought about by the collaborative research of Jack Bybee, a few of my tweak gurus and myself. This ultimately lead to the Dark Matter Technologies line of tweaks. If you haven't tried them you are missing out on an inexpensive range of tweaks that offer way more in improvements than their price would indicate. End commercial. DMT - Dark Matter Technologies Wallflowers. Next in line was the creation of the Dark Energy line of audio cables. 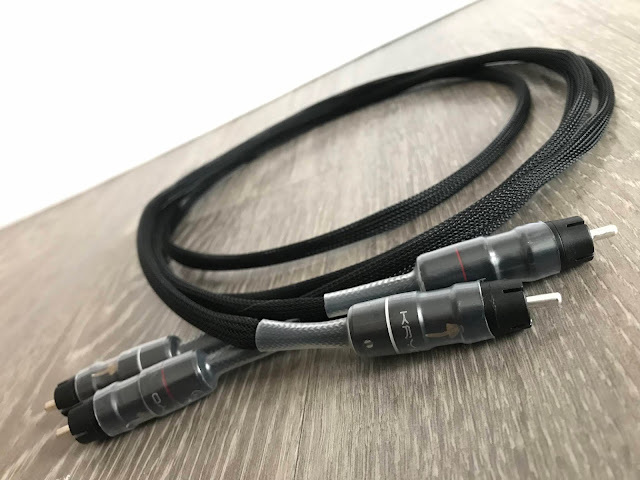 I found some very good wire as a base conductor, found a way to implement the Dark Matter Material to good effect, and finished with great sounding connectors (ETI Technology Kryo's to be exact). Another winner. The rear of the AC Harmonizer. Note the on/off switch. This engages and disengages the internal AC harmonizer module. Like I mentioned, initially there was never an "idea" for an AC harmonizer. It was accidentally discovered while searching for an active solution that would amplify the effects of the Dark Matter tweaks as room treatments (See the Dark Matter Magic Maker). The goal was to come up with something much like the Stein Harmonizers but not as expensive. Sort of a "Poor Man's Harmonizer System". During this exploration, I and my colleagues discovered that one version of what we were experimenting with worked better when housed in an aluminum chassis with only the incoming AC exposed to it's field. Once discovered, we optimized it for this job only. We've packaged this technology in a new power distributor/conditioner. The basic model consists of a roughly (W x H x D) 11.5" x 4.5" x 10.5" aluminum chassis sporting 4 Hubbell duplex AC receptacles on the front. I liked this chassis. Why? because too many other conditioners have awkward placement of their inputs and outputs. This one was simple: AC enters in the iec placed on the rear of the unit, and exits through the receptacles placed on the front. 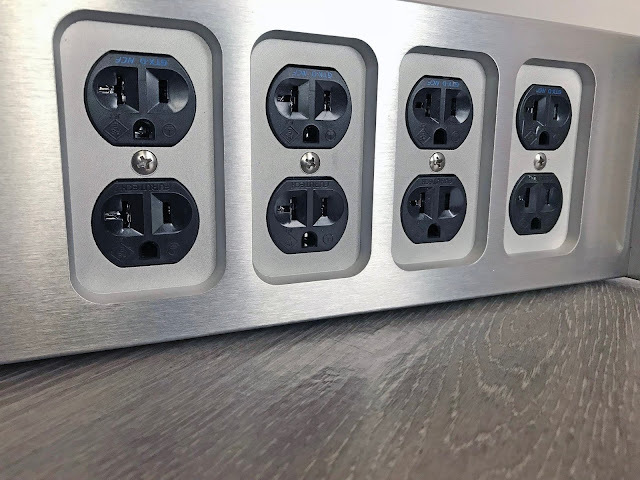 The design could take a good half meter of the required length of your systems power cords since they no longer would have to be forced to curl around the back side of the conditioner to connect. They also wouldn't have to connect through the top of the unit. 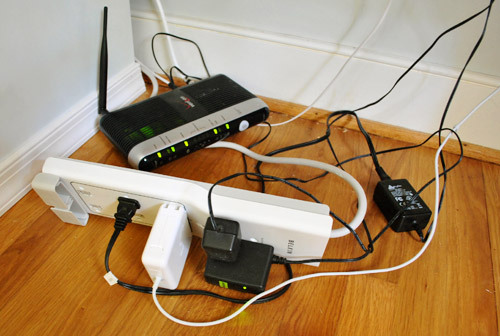 Anyone who's had a power strip/extender/distributor know's that this creates a top-heavy situation with your power cables and power strip toppling over and generally looking sloppy. It's a simple idea, but smart. The receptacles are star wired to the AC input. 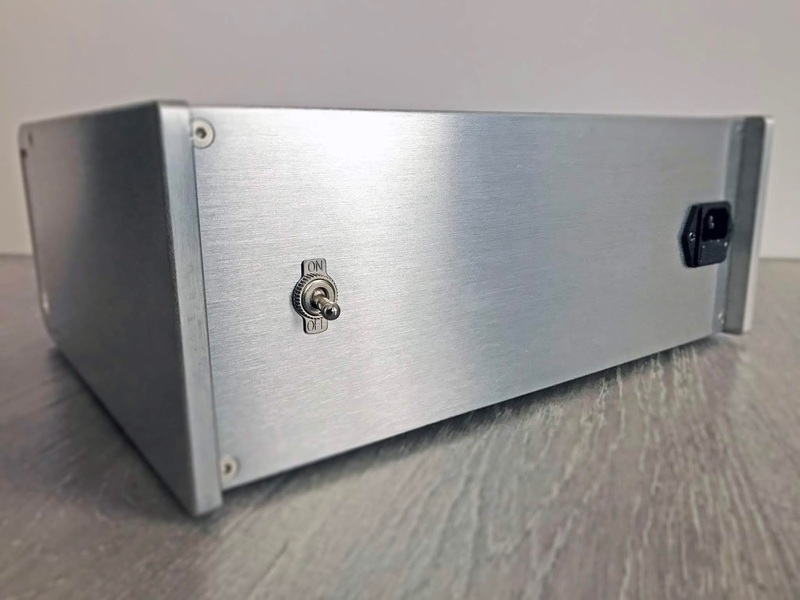 The AC Harmonizer is also star wired to the input, leaving every receptacle and the AC Harmonizer with it's own dedicated electrical feed. 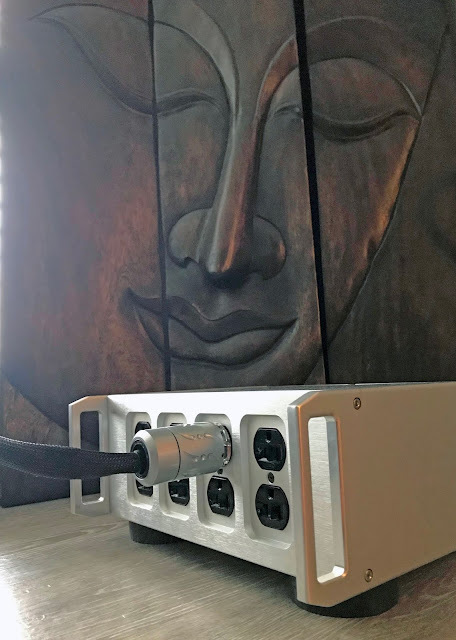 On the back of the AC Harmonizer is the fused iec input and a switch that enables the user to engage and disengage the Harmonizer inside for listening comparisons. Upgraded models will sport the Furutech GTX-NCF AC receptacles along with some additional shunt filtering on each Duplex receptacle. Listening to the AC Harmonizer is in some ways similar to other Audiophile power conditioners, and very different in other respects. First, the noise floor. As you would expect with any quality AC conditioner, the noise floor is reduced, a veil is lifted and more musical information emerges as a result. That is all well and good, but not what makes the AC Harmonizer really special. Unlike many other power conditioners, there is no reduction in dynamics, no euphoric coloration of the highs, mids or lows. In fact the overall sonic presentation is one that is very transparent, lively, natural and quite unsettling at first. When a system is plugged in to the AC Harmonizer, music becomes a living, breathing entity in your listening environment. I hear faster transients, increased dynamics, longer decays, and a natural alive-ness that one just doesn't get through other power line conditioners. We tried placing Harmonizers in series with one another. This further enhances their characteristic qualities imbued upon the music, and (of course) expands the number of available outlets. AC Harmonizer for a more powerful effect with no loss of current delivery. I owe a debt of gratitude to my audio mentors for their insights and coaching on these products. There are contributions from people far, far smarter than me in these products. The process has been a labor of love that has brought great joy to the ears and soul. 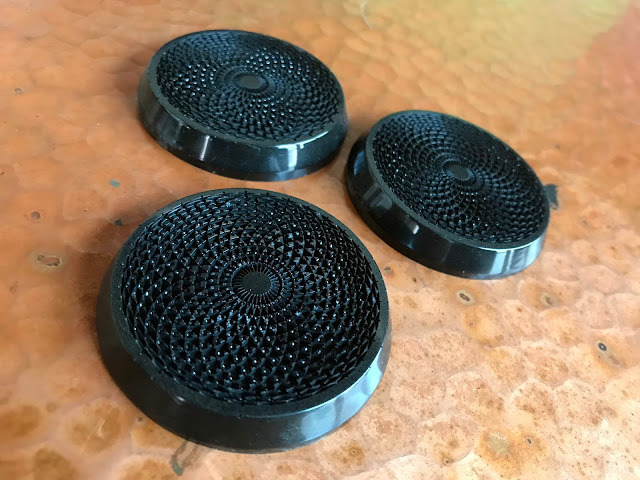 The Dark Matter and Dark Energy products are what I think reasonably priced high performance audio products should deliver. 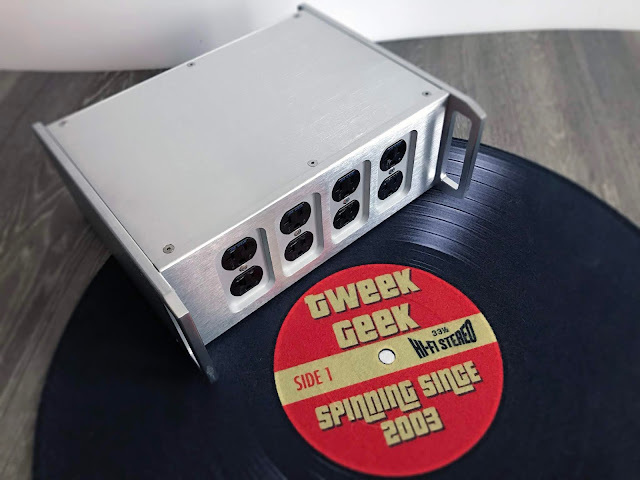 Tweek Geek is selling them direct because it saves the buyer money, and allows me to personally guide the end user along the path of good value and extraordinarily great sound. No matter what price point your system is at, these are products worth investigating. I make that very easy with an ample supply of product in our lending library and some very attractive introductory pricing. Contact us at Sales@TweekGeek.com if you would like to audition any of the products mentioned in this blog. Thanks for reading!